Live broadcast was available for Country matches (March 30), GR (March-31) and FS/FW (April 1) from 14 mats at 2018 TALLINN OPEN. 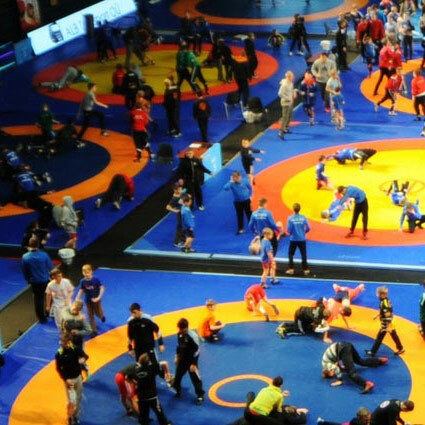 These matches can be viewed by following the GR (Greco-Roman) or FS (Freestyle) link at each mat thumbnail. from the EXCEL file TallinnOpen 2018 Matchlist search for the wrestler by name. Find the corresponding MAT NUMBER and MATCH NUMBER. The scoreboard (in upper lefthand corner) has MATCH NUMBER. Spool the timeline forward/backward to find the match you are looking for.